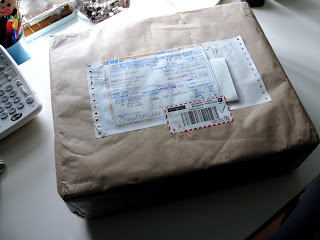 Got Craft Blog: it's here! 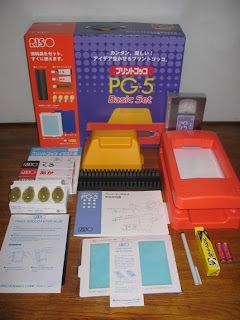 I ordered a gocco machine and it arrived last week! I have been meaning to post some pictures, but keep forgetting to do it during the day (the light is horrible in the house - too dark!). I haven't actually taken it out of the box and played with it yet except for making sure that the whole order was here. I ordered one machine for cloth and paper, a bunch of inks, screens, bulbs.. basically I should be all set.